You need to write a letter of reference. How do you write a powerful letter of recommendation? What do you include? What if you don't want to write for this person? First, only write a truthful letter of recommendation. Do not exaggerate someone's abilities. Don't attack someone, either. If you cannot honestly write a winning letter of recommendation, say politely that perhaps another person would be a better choice. Before you write a reference letter, learn details about the purpose of this recommendation letter and what you can write that other letters of recommendation won't include. Ask for a specific person you can address in the letter. If the purpose of the reference letter is for college, ask about activities, volunteering, and honors or awards. If the letter is for a job or graduate school, ask for a resume and a copy of the cover letter or personal statement. WhiteSmoke writing software helps you write a powerful letter of recommendation that includes correct English grammar. 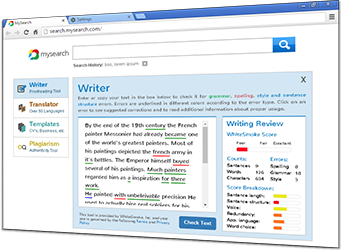 Its synonym software will strengthen your writing. The best proofreading software on the market will assure you of English writing a winning letter of recommendation. 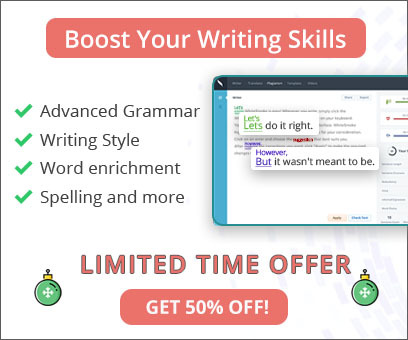 Our English writing software includes English grammar checker, English spelling check software, dictionary, thesaurus with synonym finder, and writing templates for specific types of writing such as business writing, legal writing and medical writing. A letter of reference ought to be addressed to a specific person by name, using a polite address, if possible. If this is not possible, then address it to an appropriate committee or position. For example: Dear Admissions Committee (for a recommendation letter for a student), or Dear Human Resources Director (for a reference letter). Start by writing about how long you have known the person for whom you are writing a letter of recommendation. Write in what capacity you have known the persons were you a teacher, a boss, a co-worker? Write in this part of the letter of reference about how well you know the person as well. Next, write a few well-chosen facts that convey the person's skills, abilities and experiences. Most experienced writers of a reference letter don't express an opinion without supporting details. This is the heart of the letter of reference and may take a few paragraphs, depending on the purpose of the letter. A letter of recommendation should not be more than two pages, though. Conclude your winning letter of recommendation with a brief summary. Mention specifically the college, graduate school, job place, or other recipient of the letter. Offer to be available to discuss your recommendation.